“[Seth Walker] is pure talent, a masterful blues guitarist, a singer with some swing in his voice and a writer whose (songs) sound less composed than unleashed.” – Austin American-Statesman. 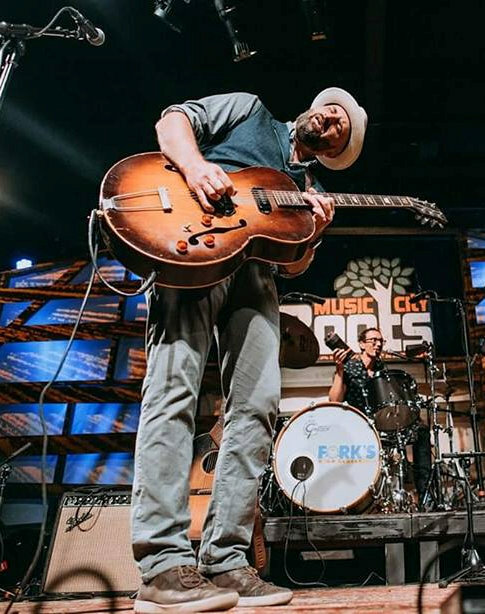 Over the past 10 years, Seth Walker has become one of the most revered modern roots artists in the United States — a three-dimensional talent combining a gift for melody and lyric, a rich, Gospel-drenched, Southern-inflected voice, and a true blue knack for getting around on the guitar. His latest studio album, Gotta Get Back, is yet another masterwork that further enhances this reputation. Growing up on a commune in rural North Carolina as the son of classically trained musicians, Seth Walker played cello long before discovering the six-string in his 20s. When his introduction to the blues, his fate was forever sealed. Instantaneously, Seth was looking to artists like T-Bone Walker, Snooks Eaglin, and B.B. King as wellsprings of endless inspiration. The rest is history. The Seth Walker Band will be performing at The Birk, 11139 Hwy 202 in Birkenfeld, Friday, September 1, taking the stage at 7:30 pm. Advance tickets can be found at Tickettomato.com for $10.00 advance, with admission at the door going for $15.00.